We really did not have much planned for today so we took it easy and stayed in at the beach. We started the day off with an early morning walk before breakfast. The sun came out so we grabbed the beach chair and out we went. It is a big 1 minute walk around the building to the beach. Woot. The surf has still been big so we did a little body and buggy board surfing. I couldn’t get the hang of buggy boarding so I just body surfed. Got a couple good runs and tossed around on the beach several times. I was covered with sand! The rain came and went and mostly started to come. We didn’t want to stay long in the sun either and get burned so we headed back to the lanai where we hung out for most of the afternoon watching the families come and go and come back. Another late afternoon walk and then dinner. Totally relaxing day. We had planned on going to Haleakala tomorrow but the forecast is still for rain but Sunday is looking good. 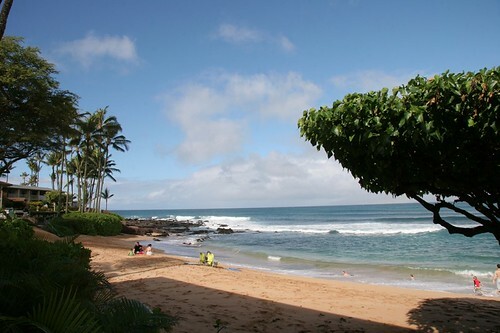 We are going to head up country to the Kula Botanical Garden along with a stop at the Maui Ocean Center. That sounds like a wonderful, relaxing day! I hope the weather cooperates for your hike down into the crater. The best way to spend time in Hawaii. 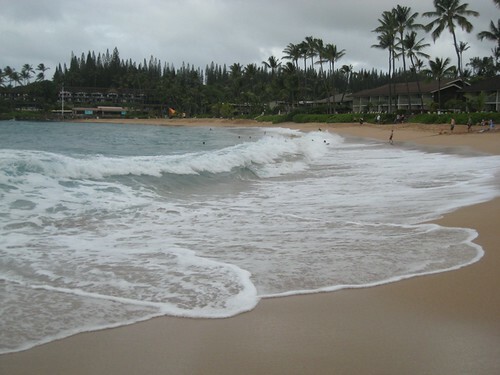 Hope the weather clears for your Haleakala trip! Great photos. Feelin’ the sand between my toes. No ka oi! Hi Marta, I love that first shot. Nice nail polish color. 🙂 It looks and sounds like you are having such a relaxing and fabulous time so far. Thanks so much for posting your beautiful photos and sharing your experiences. I can’t wait to hear about your hike on Haleakala. What cute toes you have, my dear! 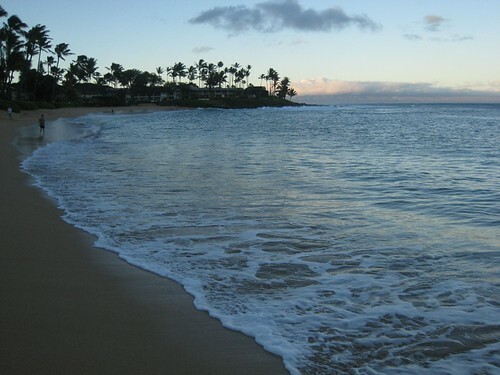 😉 Beautiful early morning photo of the water … a wonderful time of day to be on the beach! Sounds/looks wonderful,Marta. Have a great time! Great photos! Love the beach area where you are staying. Looks so inviting! Glad you weren’t slammed by a wave while boogie boarding. It is not as easy as it looks.